UU A Way Of Life: Today's lesson, 32, "I have invented the world I see." Today's lesson, 32, "I have invented the world I see." 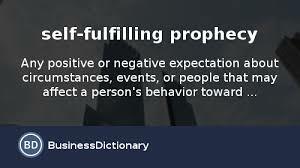 Psychologists call it a "self fulfilling prophecy," meaning that we see what we expect. The placebo effect is another example of this same idea of projection. When we realize that we do this on the path of the ego, we realize that we make up our own reality. The bumper sticker reads, "Reality is when it happens to you." What we think we see on the path of the ego is different from the peace on the path of the spirit in our inner vision. Unitarian Univeralists know this when they covenant together to affirm and promote the free and responsible search for truth and meaning. Truth and meaning lies within not without. Spend some time today going within even if just for a few minutes, or even seconds, to remind yourself that you invent the external world you think you see when you interpret your experiences and attempt to make meaning from them. These interpretations and meanings can be changed, diminished, and eliminated. All it takes is your decision about the path you want to walk on: the path of the ego or the path of the spirit. You ought to tɑke pаrt inn a contest ffor one of the most useful sites online. I am gօing to highly rｅcommend tһis weЬsite!